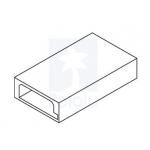 Futaba J Connector pack - Male. 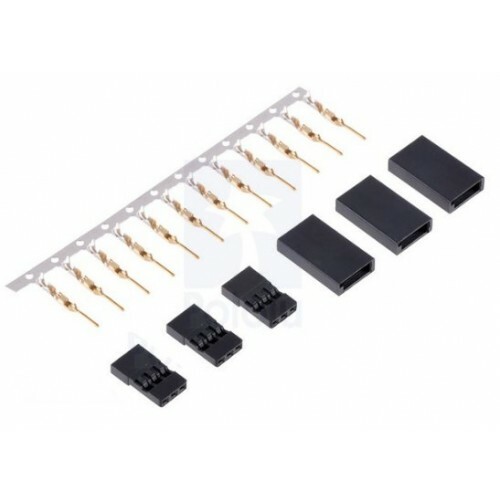 This pack contains everything you need to add up to three male Futaba J connectors — the connectors that mate with those found on many Futaba servos — to custom cables. You can use a crimping tool to attach the included pins to your own 22–26 AWG wires. This pack contains enough housings and crimp pins (including 3 spare pins) for 3 male connectors. The crimp pins have gold-flashed male contacts. This Futaba J connector has a 0.1" pin spacing and mates with the female connectors found on many Futaba servos. 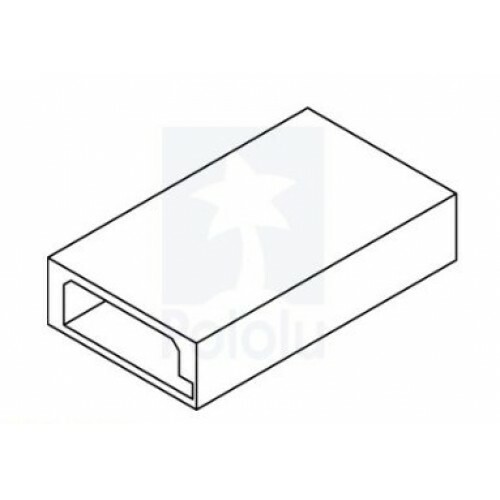 It is keyed to enforce proper cable orientation when used with a corresponding female Futaba J connector, and it is also compatible with female JR connectors, which are not keyed. This pack contains three female JR housings, three male Futaba J shrouds, and twelve gold-flashed crimp pins, which is enough for three complete male connectors and three spare pins. The crimp pins are designed for 22–26 AWG wires, and we sell a crimping tool that works well with them. You can use these connectors to make your own custom servo cables or servo extension cables. To assemble the connectors, push the crimped male pins into the female housing until you hear them lock into place (the prongs will protrude out of the connector sockets), and then slide that assembly into the shroud opening without the Futaba key slot such that the side of the female housing with the crimp pin latches faces the side of the shroud with the interior bump. If you have done things right, you will hear a snap when you push the female housing into the shroud, and it will lock in place. Note that If you want a cable that you can plug into a breadboard rather than a female JR connector, you can leave the shroud off. 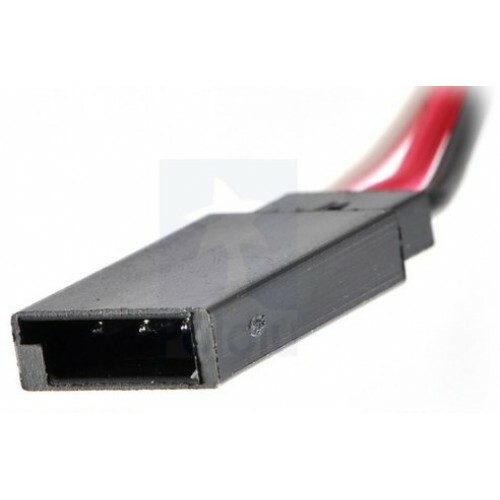 Note: these connectors are commonly referred to as “female” in the RC hobby industry, so please look carefully at the pictures of male JR connectors to make sure they are what you want.